Finding and buying a CRM is exciting. It is also quite daunting as you want to be as prepared as possible so as to avoid making a costly mistake. 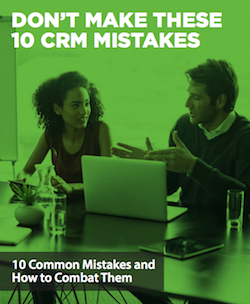 We have seen that many businesses fail when implementing a CRM, as they repeatedly make the same errors over and over again. To help you avoid making these same mistakes, we have developed a MUST READ guide that we urge you to keep on hand throughout this process.